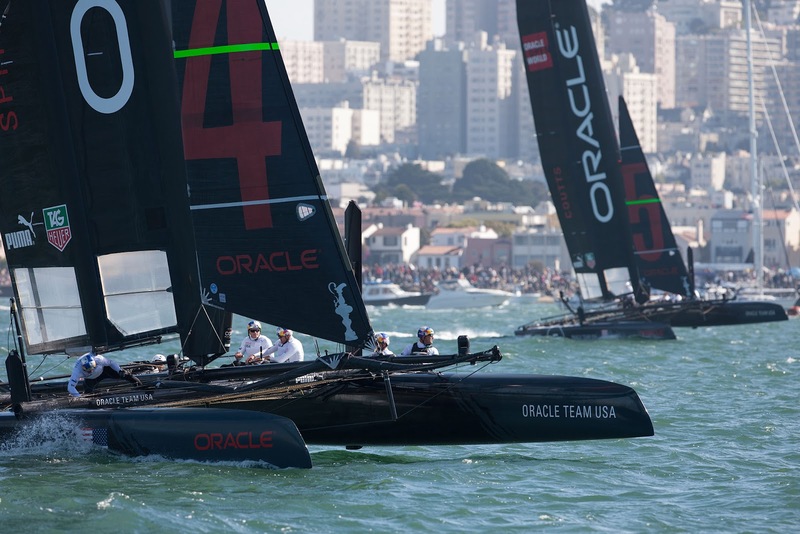 Oracle Team USA Spithill (Jimmy Spithill) rebounded from last place at the first turning mark of the “Super Sunday” fleet race finale to win the America’s Cup World Series San Francisco Championship. Spithill and crew Dirk de Ridder, John Kostecki, Jono MacBeth and Joe Newton were “dead last” off the start line, but fought their way back through the fleet. 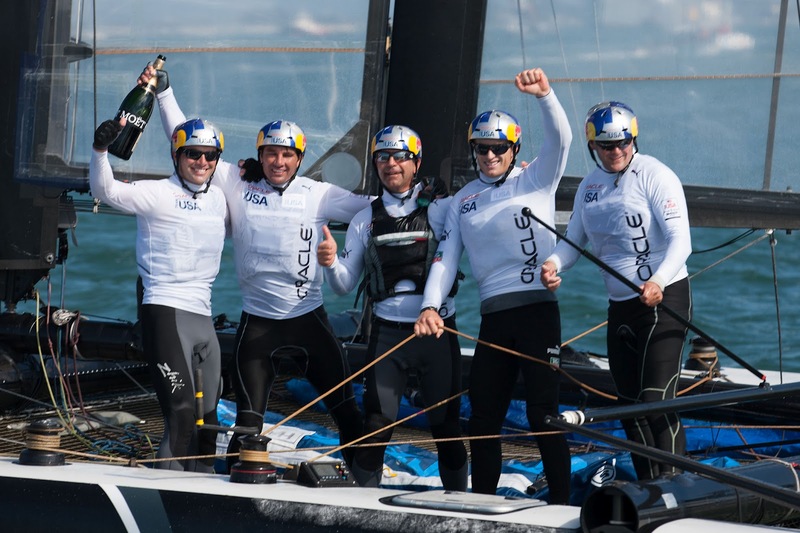 They rounded the last windward gate first and held on for a 17-second win over teammates Oracle Team USA Coutts (Russell Coutts). 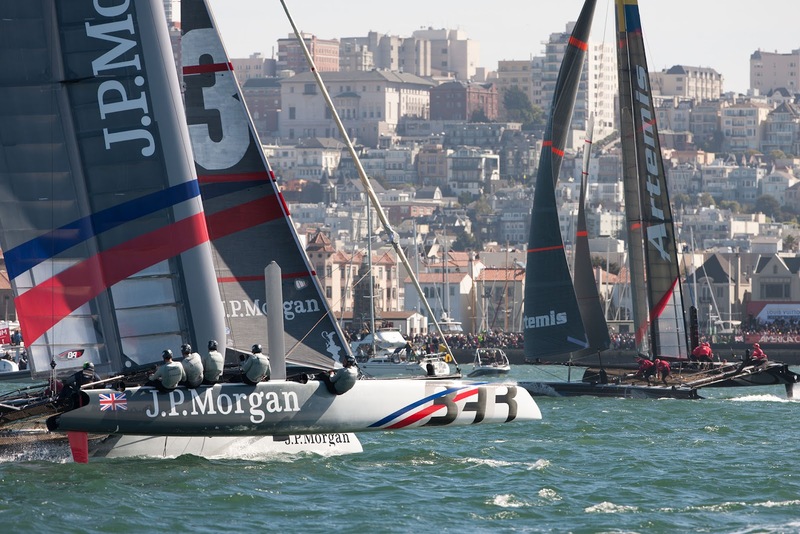 Spithill won 40 points for the race and totaled 79 points for the series. That put the crew in a tie with J.P. Morgan BAR (Ben Ainslie) for the series championship, which placed fourth in the final race. Spithill won the championship based on the final race finishes. Oracle Team USA Spithill put an emphatic stamp on this regatta. Yesterday the crew won the Match Racing Championship after capsizing and breaking frames in the wingsail during a fleet race. The crew also won the August AC World Series San Francisco Championship by 1 point, previously the closest finish at an AC World Series event. The tiebreaker surpasses that mark. Artemis Racing – White (Terry Hutchinson) placed third in today’s race and finished third overall. Emirates Team New Zealand (Dean Barker) placed fourth overall and Oracle Team USA Coutts fifth.